Tanzania is one of very few countries in the world where you can enjoy an outstanding safari and tropical beach life at the same time. Discover the best wild parks in northern Tanzania, immerse yourself in the fascinating cultures of several local tribes and unwind on the white sandy beaches, surrounded by the warm turquoise waters of the Indian Ocean in Zanzibar. This itinerary is a beautiful blend of amazing wildlife, fascinating cultures and laid-back beach life. On this first day of your 12 Days Serengeti Safari and Zanzibar; you will be met on arrival at Kilimanjaro Airport and transferred to Maramboi Tented Lodge, located in between Tarangire and Lake Manyara National Park. This lodge offers beautiful views over the distant Rift Escarpment and Lake Manyara in the background. Settle into your accommodation, ready to start your safari proper in the morning. Being the second day of your 12 Days Tanzania and Zanzibar Safari.. After an early breakfast, you drive to Tarangire National Park with packed lunch for a game drive. This lovely park boasts the largest concentrations of elephants in the world and the highest number of breeding bird species. Especially during the dry season, Tarangire National Park is packed with wildlife. Big cats like lions, cheetahs and leopards, but also the seldom seen Kudu, Oryx and Gerenuk. The Tarangire River draws huge herds of wildebeest, zebras, gazelles, as well as predators who prey upon them. 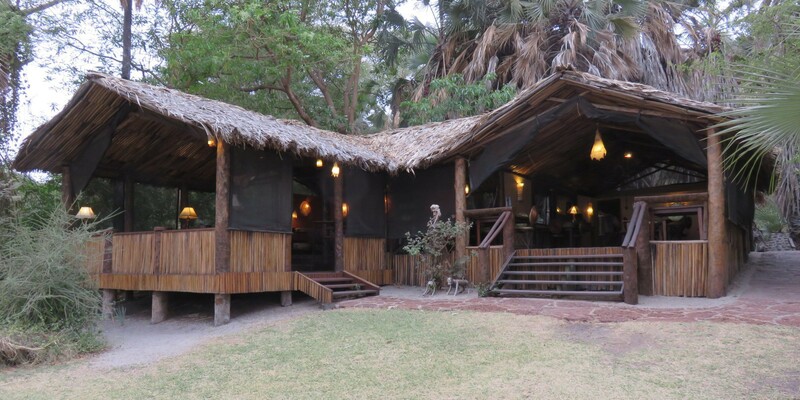 Later in the afternoon you drive for dinner and overnight to Escarpment lodge in Lake Manyara. Read more about Tarangire National Park. After early breakfast you set off towards Lake Manyara National Park for a game drive. This park is known for its huge soda lake filled with pink-hued flamingos, large population of baboons, incredible birdlife and breathtaking views. You can see giraffes, elephants, hippos, buffaloes, zebras, flamingos and if you are lucky you spot a tree-climbing lion. You return to the lodge for lunch then continue to Kisima ngeda lodge for dinner and overnight. This day will be full of culture, with interesting encounters with local tribes. After breakfast, you drive to Lake Eyasi. This is an untouched and scenically beautiful area where you can get a real insight into the way of life of the rural tribes like the Datoga and Hadzabe Bushmen. The Datoga are farmers and silversmith’s who make iron knives and spears. The Hadzabe hunt on wild animals with bow and arrows, eating roots, honey and wild fruits. Visit their habitat and experience their culture first hand. Around lunchtime you drive to the Ngorongoro Conservation Area for a picnic lunch and a visit to a traditional Maasai village. After a day full of exciting experiences you drive to Ngorongoro Serena lodge for dinner and overnight. Today you set off towards the Ngorongoro Crater for a beautiful game drive. It shelters close to 30.000 animals including the Big Five. The crater teems with zebras, buffaloes, lions, wildebeest, warthogs, baboons, elephants, flamingos, ostriches, hippos, cheetahs and a small population of the rare black rhino. The beautiful colours and dancing clouds make the crater almost surreal. Because of its natural beauty the Ngorongoro Crater is chosen as one of Africa’s Seven Natural Wonders. All meals and overnight will at Ngorongoro Serena lodge. Go on a morning and afternoon game drive in the famous Serengeti National Park. If you want to spot the Big Five – lion, elephant, leopard, rhino and buffalo- all in one park, the Serengeti is one of the best places to do so. The abundance of wildlife in this park is unmatched anywhere else in Africa. Depending which time of the year you visit this park, you can also witness the Great Migration. It’s an impressive experience to see all those hoofed mammals, followed by iconic predators, migrate in a clockwise circle every year. Late in the afternoon you return to Kubukubu Tented Lodge. Another day of morning and afternoon game viewing in the Serengeti. With so many wildebeest, gazelles and zebras present it is no wonder the Serengeti is also home to 4,000 lions and 1,000 leopards. Apart from the Big Five the Serengeti boasts the cheetah, jackal, hyena, serval, aardvark, pangolin, porcupine, crocodiles, giraffe, python, black mamba, spitting cobra, ostrich, martial eagle, lovebirds and vultures, just to name a few. Enjoy this supreme game viewing and return to Kubukubu Tented Lodge in the evening. Explore the Serengeti for the last time during a morning game drive with picnic lunch. You continue your journey to Seronera Airstrip for your flight to Zanzibar. Upon arrival on the tropical island Zanzibar you will be transferred to Hideaway of Nungwi, where you can enjoy dinner and the beautiful views over the garden and blue Indian Ocean. Enjoy the luxury around you in the Superior Suite of this resort (all inclusive) where you will stay for the next 4 nights. Relax at the beautiful Nungwi Beach. This is one of the best beaches on the island has a relaxed atmosphere with beautiful white sandy beaches and turquoise water that gently rolls onto the beach. You can spend the entire day at the beach, since the beaches in this northern part of the island are not as tidal. If you like to be more active, the resort organizes lots of activities like village walks, scuba diving and snorkelling. You can book and pay these activities directly. All meals and overnight will be at Hideaway of Nungwi in the Superior Suite (all inclusive). Another day in paradise. You can relax at the resort, at the beach or so something more active. Explore a wide range of watersport activities, from snorkelling, scuba diving and sailing to kite- and windsurfing. Swim among the wonderful reef fish and enjoy the sights of many diverse marine creatures like turtles, rays, barracudas, octopus, zebrafish, moorish idols, lions fish and many more. If you prefer a cultural experience, visit the historical Stone Town or go on a spice tour. All meals and overnight will be at Hideaway of Nungwi in the Superior Suite (all inclusive). Spend your day at leisure. Enjoy laid back beach life or sail towards the golden sunset on a traditional sailing boat while you spot pods of dolphins. Another option is to visit the nature reserve for turtles in Nungwi, where you can feed the turtles and even swim with them. This lovely fishing village has also a number of good bars. On this last day of your journey you will be transferred to Zanzibar Airport for your departure flight.